winning 4 Races in a row and 2 Busch races in the month of September. 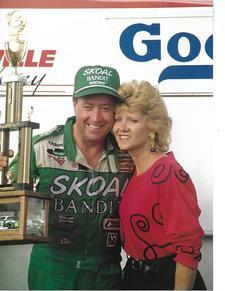 ​He drove the same race car throughout the 4 win Winston Cup streak. ​Gant's 4 win streak started at Darlington, South Carolina, which has always been one of his favorite tracks as a spectator in his youth to driving Winston Cup. He started in 5th place but took a while to get to the lead. 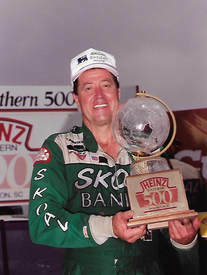 On lap 151 he took the lead for the first time with 60 laps to go winning the Heinz Southern 500. ​The next race was the Miller Genuine Draft 400 at Richmond, Va. Harry started in 13th place and took the lead on lap 219. With 88 laps to go there was a big wreck in which Harry was hit by Morgan Shepherd and spun around while avoiding the accident. With 18 laps to go Harry passed Davey Allison for the lead beating him by 4 car lengths. 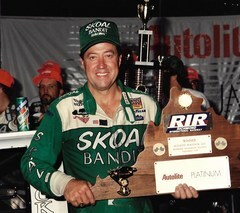 Harry also won the Busch race the night before. 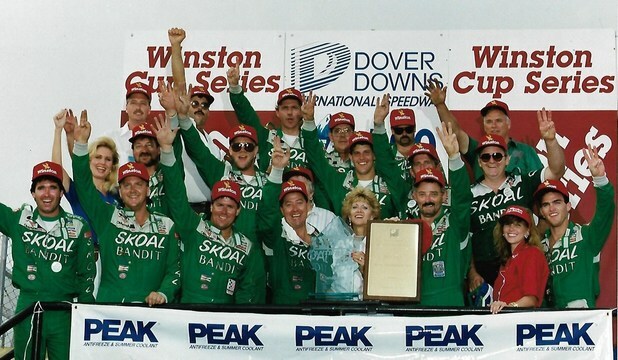 On September 14 and 15, racing was happening at Dover, DE. Harry won the Busch race on Saturday (his second straight) going on to win Sunday's race as well. Harry started 10th in the Peak AntiFreeze 500. On lap 69 there was a 15 car wreck that took out many competitive cars. Harry led 326 laps that day. The margin of victory was over 1 lap. eligible for the Unocal bonus money if he won from the pole position. Harry dominated. He led the first 252 laps and with less than 50 laps to go, his fortune ran out with a ten cent o-ring seal.